July 24, 2014 By Ethan Johns & filed under All Articles, Handguns, Weapons. The last year has renewed a national discussion on magazine capacity, with the hystericals on one side scared witless over the round count available to the basic law-abiding type, and the legions of new gun owners initiating a buying rush on every magazine being produced. There are lots of opinions that run the gamut, most grounded in feeling rather than logic. Capacity has several definitions, but one lifted from Merriam-Webster applies here. This is the usage that describes the power to produce or perform. That is where the discussion should center. How much capacity is “enough” in what circumstances and why? 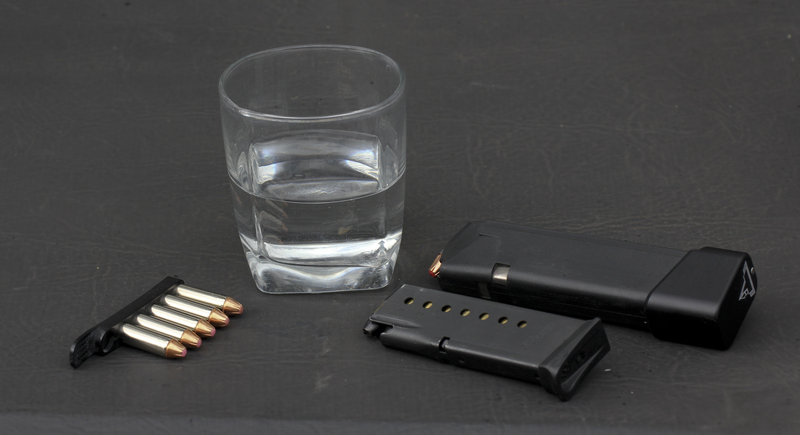 A rational thought process based on requirements and the shooter’s capabilities should drive decisions about capacity. Five, nine, or 24? Capacity choices tend to reflect the shooter’s level of optimism/pessimism. There are situations where each may be appropriate. Our mental frame on the discussion is rooted by norms. The impression that single-digit capacity is “standard” is less a result of analysis and more the combination of portability, metallurgy, and ballistics that led to the six-shot revolver and its long prominence. It’s noteworthy that, from the earliest implementation of the six-shooter, multiple revolvers were carried to gain the required number of rounds, whether by Civil War cavalry, frontier lawmen, or 20th century police, with a snubbie backing up the holstered revolver. The wholesale police and civilian conversion to double-stack 9mm and .40-caliber pistols in the 1990s was interrupted by the Clinton Ban and stunted the public’s generational move to higher capacity. Consider that “famous” high-round-count gunfights are typically only so to students of the gun. The average Joe is much more aware of famous shootings where one guy killed another with just one round: Jack Ruby, George Zimmerman, et al. Only with this mental “box” established is the current norm of a 15- to 18-shot service pistol considered “high” capacity. Contemporary understanding of the marginal effectiveness of all pistol rounds to decisively stop attackers and training emphasis on multiple rounds per threat lags behind the public’s perception of normal and necessary. For younger shooters who grew up after the police transition to autos and came into shooting after the Clinton Ban expired, the 15- to 18-round pistol is the norm. Extended magazines are becoming routine with some military units, such as the 20-round magazine on this Navy Mk25. The handgun market is more diverse than ever before. 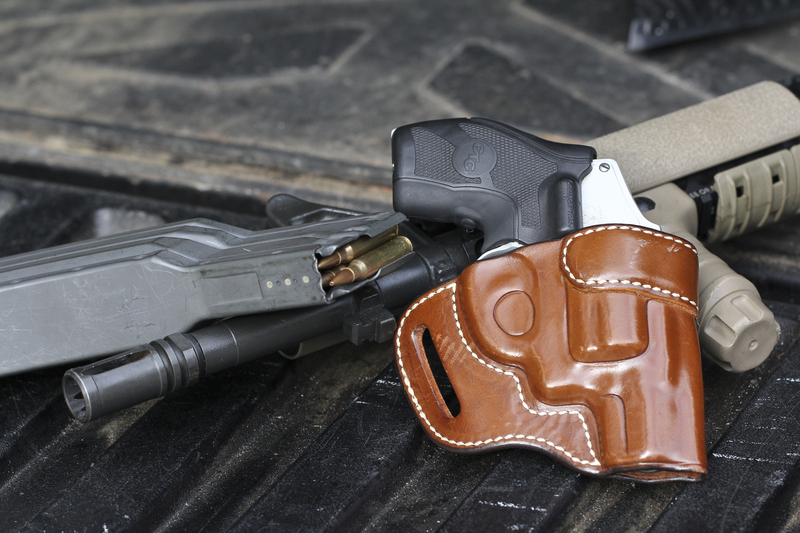 Shooters who select a model for personal carry or home defense have many choices to make. At the end of the day, the choice is usually tied to certain assumptions and linked to personal preferences. The assumptions, often at the subconscious level, revolve around what the likely employment scenario may be. A partially intoxicated vagrant who gets aggressive about a handout? One mildly committed robber? A deranged gunman bent on max destruction and planning to die? Three highly motivated and experienced criminal attackers? The assumptions continue with baseline expectations of the terminal performance of the chosen caliber/round and the shooter’s ability to place it from the chosen handgun under stress. This is the pasture of sacred cows, and I pause to mark the boundary. The threat may not realize he’s been dealt a lightning-bolt-like blow from whichever fan-favorite caliber. More likely is that the shooter reacting under stress may not connect as well or often as he imagined with the chosen sidearm. This gets more likely as the firearm size decreases. Extended basepad like this TTI Firepower can add six rounds to the pistol at a slight increase in length and weight. Shooter gains the equivalent of a “New York Reload” with a service revolver without any pause. The linkage of these assumptions to the preferred platform and caliber is routine. For example, a J-frame devotee envisions a single criminal or pair and that the cylinder full of Brand X +Ps will be enough to carry the day or break contact. In a broad sense, this type of shooter is prepared to defend himself, but is an optimist. The 1911 disciple might believe that the inherent ease of shooting with the .45 and the bullet’s mass offsets its limited capacity, giving two to three well-placed and effective rounds for up to several attackers. The polymer double-stack fan tends to be a half-empty sort who may assume more threat, fewer hits and less terminal performance from the bullet. As an interesting experiment, go online and check out any 10 or 15 dashcam or security camera clips of actual shootouts. Such a staggering amount of unfiltered data is out there that a random sampling of 10 is a great start that doesn’t suffer from confirmation bias. Veterans who have gladly paid for 60-round magazines to take overseas may challenge the traditional view of how much capacity is enough. At the end of the exercise, consider whether, if you were a participant in these, you would be more comfortable with a revolver, single-stack auto, or modern service pistol with 18+ rounds. And comfort is the issue. One can find data to support any choice made. It is a deeply personal decision. However, one might look rigorously at the assumptions and test them against scenarios where possible. The one constant is that capacity equals options. Options to engage more threats or a single target more aggressively. Options to attempt a shot at distance or on the move that isn’t a sure thing. Options to attempt a shot through concealment or what may be penetrable cover. Options to suppress a barricaded threat to allow movement. Even subcompact pistols can benefit from a full-size magazine with adapter, giving the shooter options. Caught in the middle of a convenience-store shootout gone wrong, you drew your handgun and engaged the criminal with an unknown number of rounds. He has since taken position behind a coffee counter and is firing wildly around the edge. You are stuck in a position where to exit would expose you more, but there isn’t any real cover available where you are. You have the presence of mind to think you can probably connect with the attacker through the counter. You have limited time to decide. In the comfort of a hypothetical with time to consider, I believe my answer changes as the capacity of the handgun does, from “pass” to “maybe” to “absolutely.” No sweat if yours doesn’t—it’s personal. You will likely find in this and other hypothetical scenarios that assuming a service caliber handgun capacity is more of a determining factor in choice than specific caliber or platform. I have several friends who emptied their handguns and had to reload in the middle of a fight. Although the circumstances range from close-range LE encounters to counter-ambush military action, the results form powerful impressions. I have a distinct desire to finish the action and still have at least three or four rounds in the pistol. Mec-Gar 20-round Beretta magazine aids retrieval and insertion of the mag while also giving support hand extra length for the little finger to bear against in a two-handed firing grip. I’ve noticed that many shooters have a “number.” Really two numbers—one that they are comfortable with as a minimum capacity in a situation, and the other the total rounds they carry as reloads in speedloaders/strips or magazine(s). For some, that number is situational. For others, it is a firm everyday, all the time thing. Several of my contemporaries have gradually upped their number in concert with recent events and threats. Several went from a capacity of five or nine in the routine concealed-carry handgun with little or no spare ammo to a routine carry capacity of 13 to 18 backed by spare magazines. For others, some close call or tense situation drives toward the realization that, when you need a weapon, you don’t want to be wishing you had more gun. 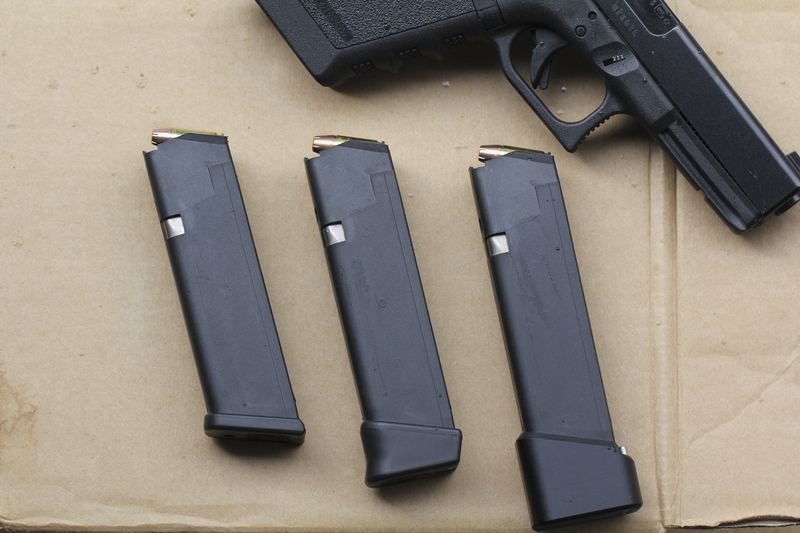 Left to right: Standard Glock 17-round magazine, Glock +2 adapter, and TTI Firepower-equipped magazine. In a duty pistol, the requirement for capacity can be more pronounced. It took a little bit of mental agility to accept that even the new “high” capacity guns didn’t universally provide the capacity to cover all situations. Once shooters acclimated to 15 rounds, they still found situations where more would have been better. 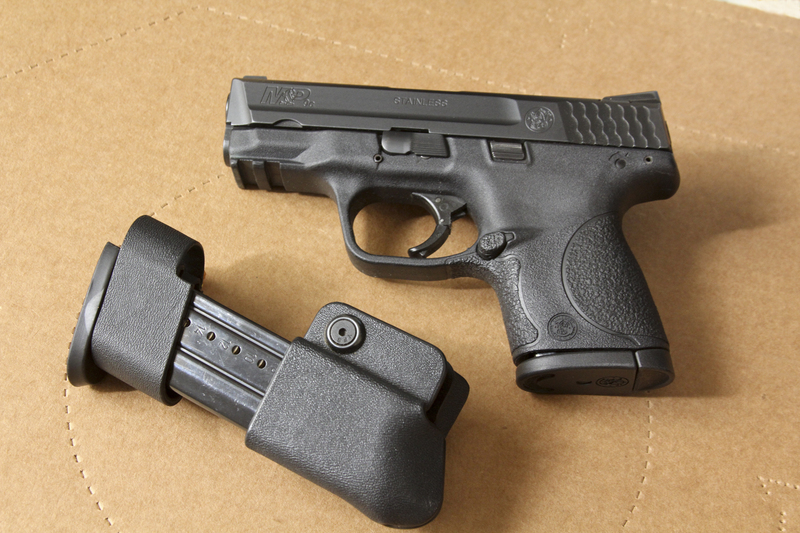 Some police departments settled on midsize pistols like the Glock 19/23 as a universal duty and plainclothes gun and then added the Glock +2 adapter to magazines for holster use. This brought the total back up to the 18 rounds of a full-size Glock. Military men and SWAT guys found that extended baseplates or bumpers on magazines were helpful in retrieving and seating spares from crowded pouches. 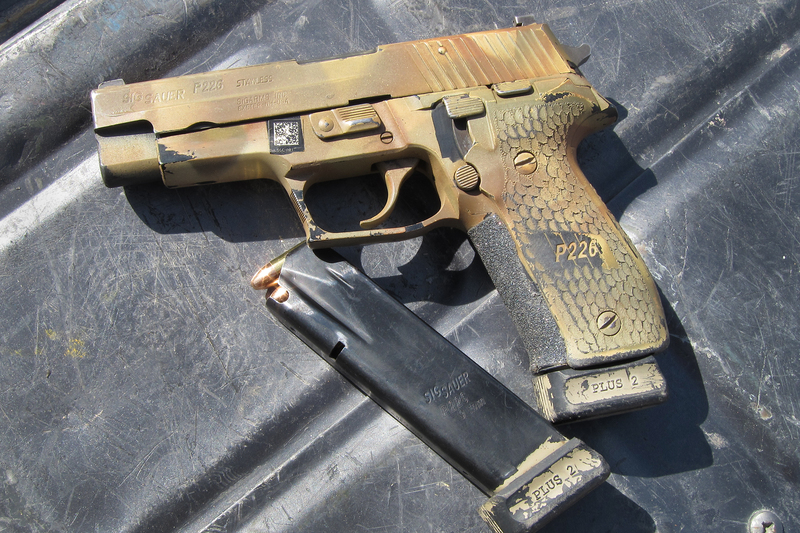 It was only a matter of time before industry caught up, and now there are reliable 20-round extended magazines in regular use with the M9 Beretta and the Mk 25 Naval Special Warfare SIG P226 variant. In a secondary weapon role, the extended magazines have led some users to simply run the 20 in the gun or a single spare mag and free up space on the armor or belt for other items. As an added benefit, I find that the extended magazines allow me to get all fingers of the support hand involved with the grip, particularly if shooting thumbs forward. The popularity of the Glock across the shooting sports ensures that there are wide options in magazine extensions. Numberous makers offer +1, 2, 4 and up to 6 are readily available from numerous makers. I have been working extensively with Taran Tactical Innovations’ Firepower Basepad anodized aluminum extensions at the recommendation of some very talented shooters, with great results. 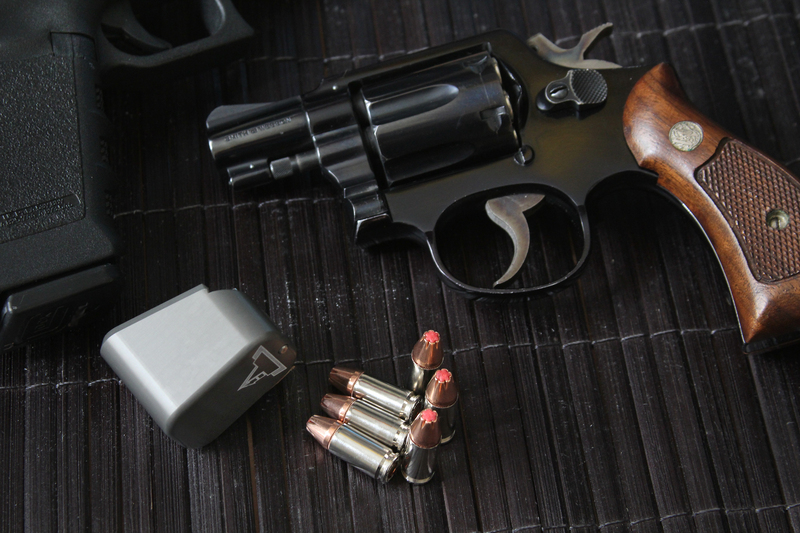 For a slight weight increase, the shooter adds the equivalent of a “New York Reload” from a Colt Cobra or two-inch K frame into the primary pistol. The better quality extensions seem to maintain the same reliability as the OEM length magazines. The TTI product includes an ISMI 12-coil extended spring that loads easily while providing the extra power necessary. An extended magazine is perfectly at home on a tactical pistol with weaponlight and gives the shooter options and flexibility. A shooter must determine two things for the magazines with extensions. Does the added length of the magazine interfere with holstered carry? That will vary depending on the situation, but for some they may be too much of a good thing. I find that for tactical or exposed carry, the +4s or smaller are of negligible concern, while +6s depend on the user. Even if the extension interferes with holstered carry, there may be merit in using one on a spare magazine(s). Here the shooter has the option of tac loading the higher-capacity magazine into the pistol when proactively drawing the service pistol while responding to a situation. The second consideration is whether the extended basepads interfere with the shooter’s ability to smoothly and quickly reload the pistol. The basepads somewhat mitigate the likelihood of having to reload, but again the results vary by shooter. I find the reloads slightly more positive with an extended basepad, but I have large hands. For shooters running subcompact autos such as the Glock 26 or M&P9c, a similar capacity option is available. There is little gain in running a standard-capacity spare in a subcompact. Consider running a full-size magazine to boost the capacity. 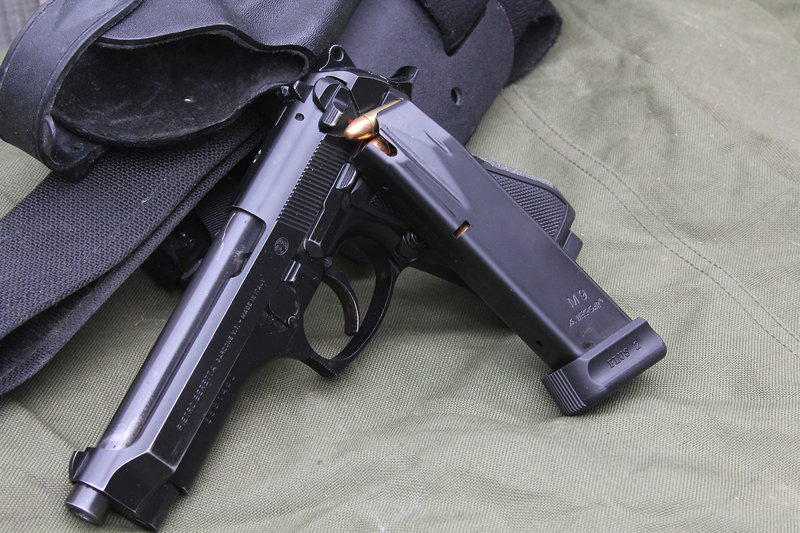 When coupled with a grip adapter, the shooter gains additional control of the pistol as well as more rounds. For my M&P9c, I’ve used a Kydex magazine adapter from Custom Carry Concepts that makes the little pistol behave very much like a full size. Ruger SR9C and Springfield XD subcompacts come with full-size spare magazines already outfitted with adapters (the Glock and S&W should). With the M&P9c, the adapter gives me a significant boost in recovery speed shot to shot, with splits just slightly behind a full-size pistol and up to .10 second faster than the compact frame. Getting all of the hand involved also lets me hit up to the potential of the pistol. Many subcompacts have a great reputation for accuracy, but it can be hard to get to with a two-fingered grip. Too much capacity is an opinion that is inevitably date stamped. We have a generation of returning vets who paid out of pocket for 60-round SureFire AR magazines to take to Afghanistan, whereas their grandfathers were enthusiastic about the eight-round capacity of the M1. 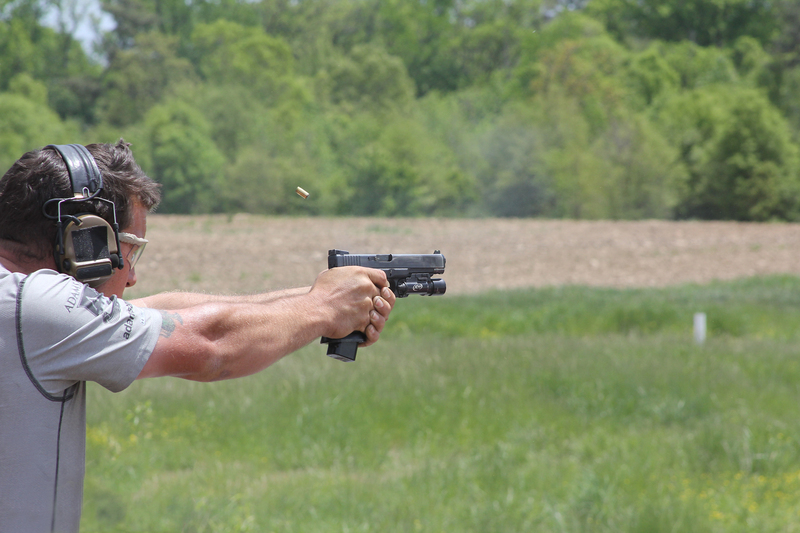 For now, I personally find the upper limit to be set by balance and size in handguns. The pistol gets unwieldy and more difficult to drive in multiple target engagements at a certain point. Double-helix drum pistol magazines look impressive in B-movie villains’ guns, but aren’t practical for many purposes. For me today, the upper end is 20+1 in alloy 9mm service pistols and 23+1 in the lighter polymer guns. Technology or techniques may change that. Plenty of shooters are capably armed with lightweight revolvers or single-stack belly guns. But that impression needn’t deter others who look at their environment and employment methods and reconsider what their required capacity is.